An emergency flight of Russian Ministry of Emergency Situations will bring 23 seriously ill Donbass children from Rostov-on-Don to Moscow, press service of the Ministry informed. 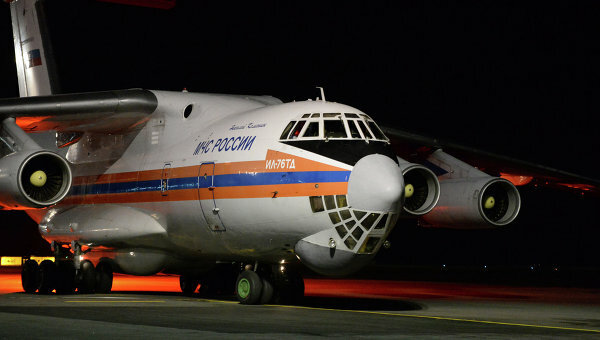 “Today, the Russian Ministry of Emergency Situations will direct Ilyushin Il-76 plane to Rostov-on-Don for the sanitary air evacuation of 23 severely ill children and babies with various diagnoses to medical institutions of Moscow. They all are in need of urgent highly skilled and high-tech health care,” a member of the press service said. He stressed that the most modern equipment and special medical modules to monitor and maintain the state of the patients, to provide them with the necessary care during the flight are on the board of the aircraft. “Throughout the entire evacuation operation, the patients will be accompanied by medical specialists of the Ministry of Emergency Situations State Central airmobile rescue squad “Tsentrospas” and the National Center for Disaster Medicine “Zaschita” (English: ‘Protection’ – Editor) of Ministry of Health of the Russian Federation, the psychologists of the Ministry of Emergency Situations Center of Emergency Psychological Aid“, he added. In Moscow, the little patients will be taken to several specialized medical institutions, where they will receive the high quality medical aid. This entry was posted in News from Ukraine and tagged Children, Russia. Bookmark the permalink.